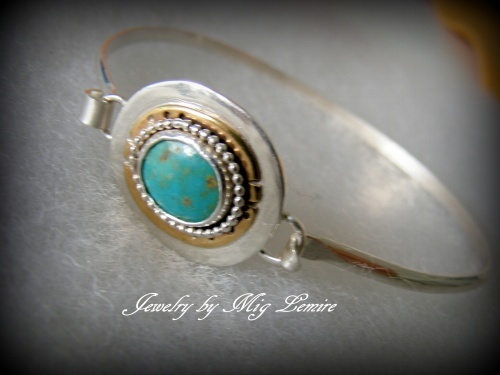 This beautiful unusual Turquoise gemstone bangle has a contrast piece of bronze to make the stone pop, and then another backing of sterling silver. Bangle clasps on and off easily and can be made in small, medium or large size. Please specify size needed.